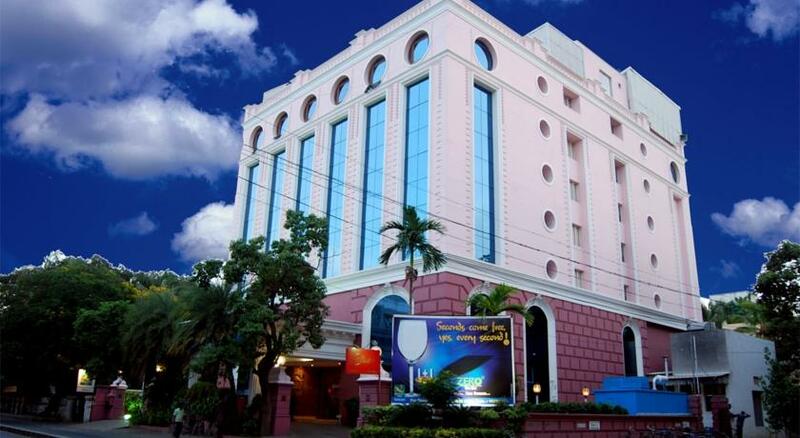 Centrally located at Thirumalai Pillai Road in Chennai, Quality Inn Sabari is a 4 star category hotel. 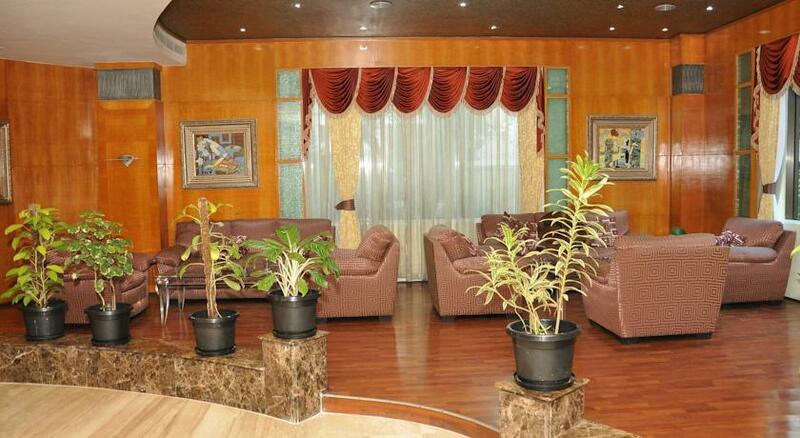 The hotel is easily accessible from a number of diplomatic, commercial and shopping areas of the city. 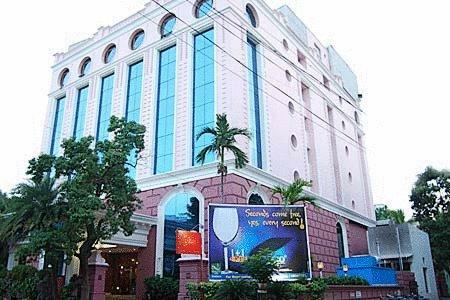 Marina Beach, Kapaleeswarar Temple, MGR University, San Thome Basilica Catholic Cathedral and University of Madras are just few minutes away from the hotel. 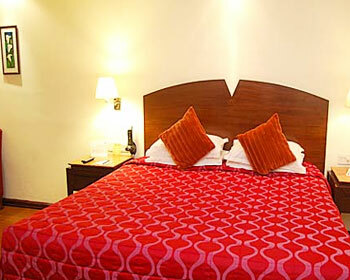 The superbly appointed 72 luxurious rooms of the hotel offer unique style of serving and warm hospitability. 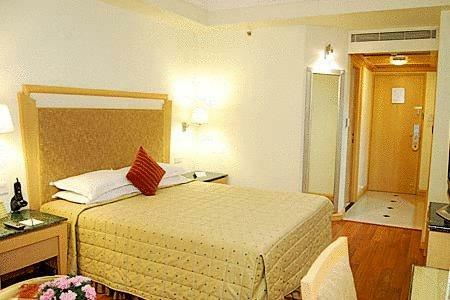 These rooms are further categorized into Suite Room, Executive Rooms and Deluxe Rooms. 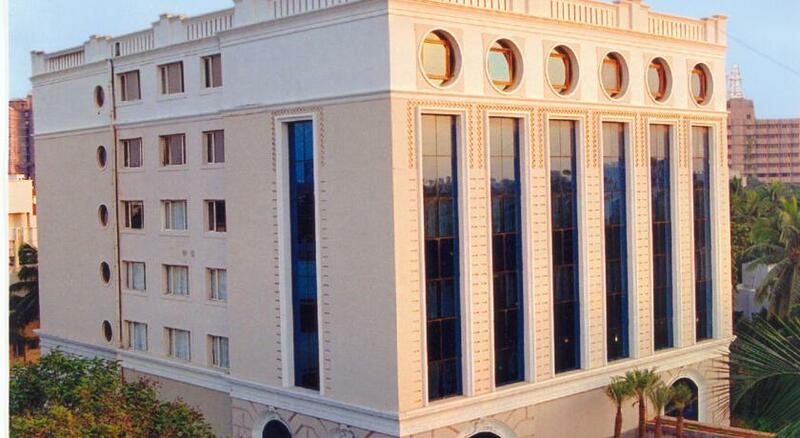 The hotel offers outstanding conference facilities in its fully equipped halls such as Orchid, Westminster, Rivera, Cambridge, Windsor and Oxford. 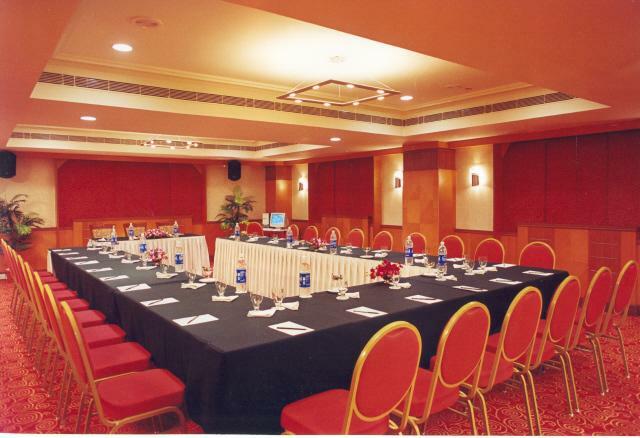 Telecommunications equipments, a full-service business centre, internet access, excellent audio-visuals and multi-service meeting spaces are some of the facilities offered in these conference halls. Taste mouth-watering food of the hotel at the Cascade- a gourmet restaurant and Rendezvous- a multi-cuisine fine dining restaurant. 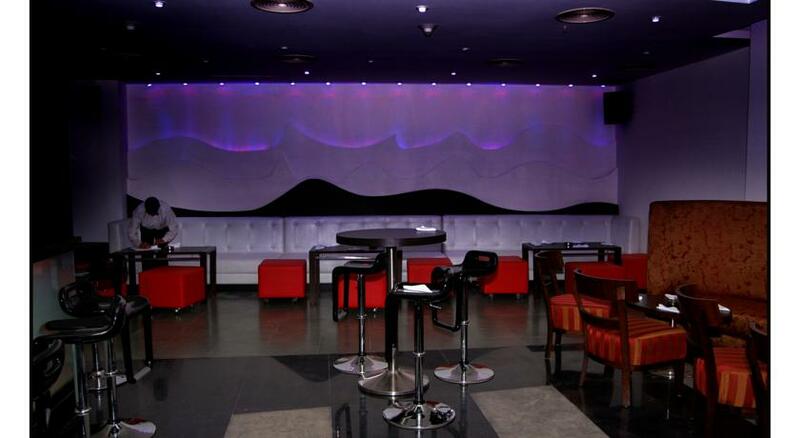 The Zero Bar offers an array of drinks ranging from liqueurs, champagnes and spirits in its ultra-chic ambience. 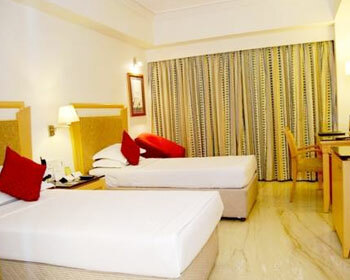 Additional facilities include travel desk, 24-hour room service, doctor on call, laundry service, baby sitting service, Wi-Fi internet connectivity, exclusive rooms for lady travelers, currency exchange, fitness centre, car rental desk, in-room data ports, 24-hour check-in facility, all day dining restaurant, meeting facilities, LCD television, business centre, non-smoking rooms and airport and railway station pick-up/drop facility on chargeable basis. 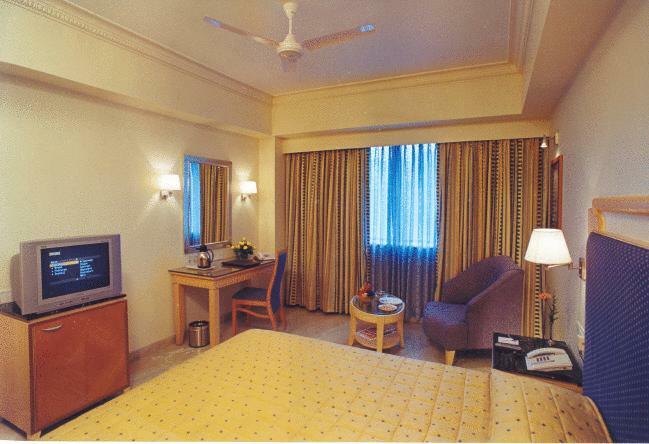 The ultra-spacious Suite Rooms of the hotel offer outstanding accommodation facilities to each and every guests. 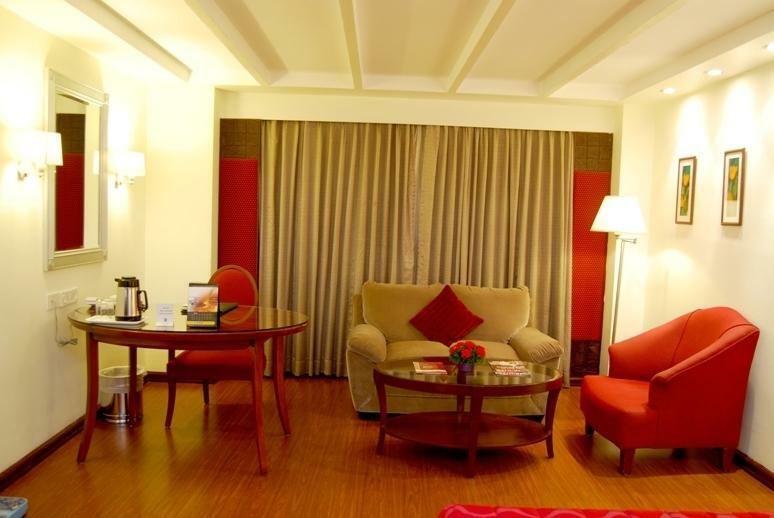 The colourful interiors and latest amenities make the stay at the suite more comfortable and luxurious. Some of the facilities offered within these suites include LCD television, laundry service, 24-hour room service, ironing facility, internet connectivity, latest bath toiletries, hair dryer, 24-hour in-room dining, in-room safe, dual line phone, tea/coffee making facility, attached bathroom with 24-hour hot and cold running water supply, complimentary morning newspaper, doctor on call, refrigerator, minibar, luggage storage and complimentary breakfast at the ‘Rendezvous’ restaurant between 7.00 am and 10.30 am. 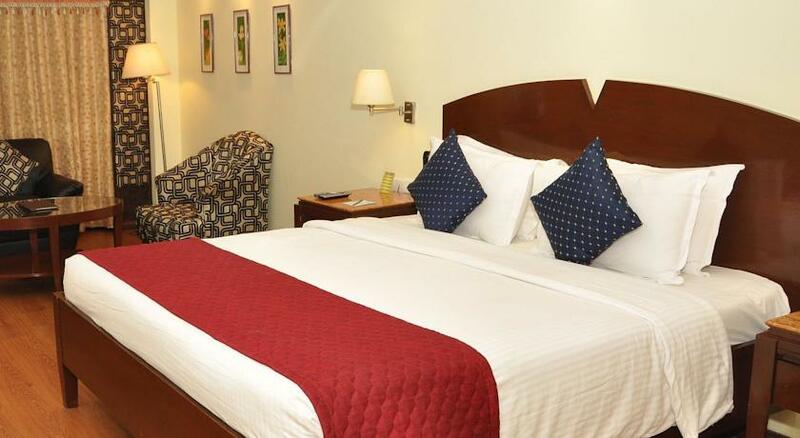 The luxuriously appointed Executive Rooms are meant for all the discerning businessmen. 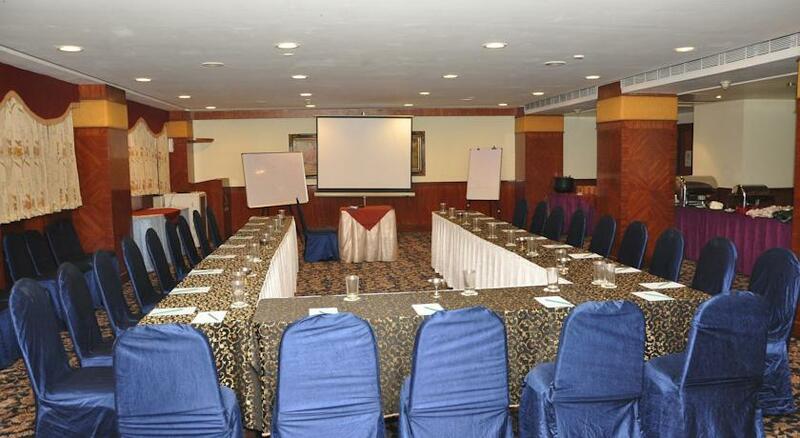 These rooms are fully equipped with all the modern amenities for the convenience of the guests. The elegant interiors exhibit comfort and sophistication. Additional amenities offered include tea/coffee making facility, dual line phone, complimentary morning newspaper, 24-hour room service, refrigerator, internet connectivity, luggage storage, 24-hour in-room dining, complimentary breakfast at the ‘Rendezvous’ restaurant between 7.00 am and 10.30 am, LCD television, minibar, in-room safe, latest bath toiletries, doctor on call, laundry service, ironing service and attached bathroom with 24-hour hot and cold water running water supply. 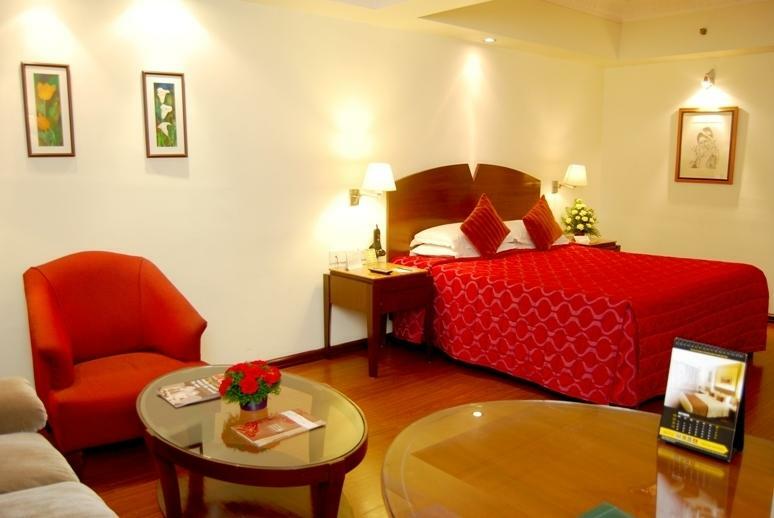 All the Deluxe Rooms are designed in subtle and elegant manner. 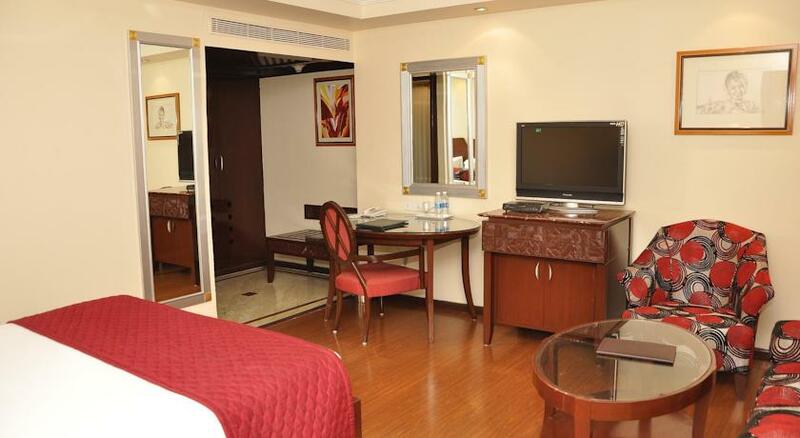 Each room is fully appointed with all the latest amenities for the convenience of the guests. 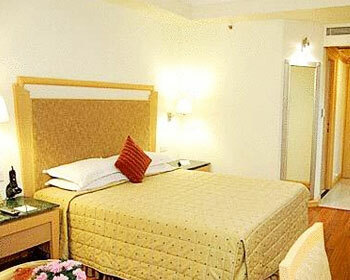 Some of the facilities include minibar, tea/coffee making facility, 24-hour room service, laundry service, latest bath toiletries, hair dryer, complimentary morning newspaper, LCD television, doctor on call, internet connectivity, in-room safe, 24-hour in-room dining, refrigerator, luggage storage, ironing service, complimentary breakfast at the ‘Rendezvous’ restaurant between 7.00 am to 10.30 am and attached bathroom with 24-hour hot and cold water running water supply. 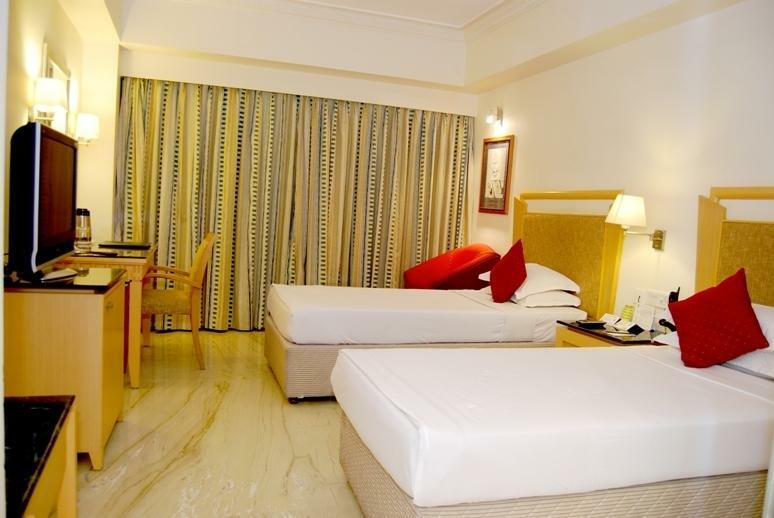 Quality Inn Sabari in Chennai offers comfortable and big rooms for its boarders. 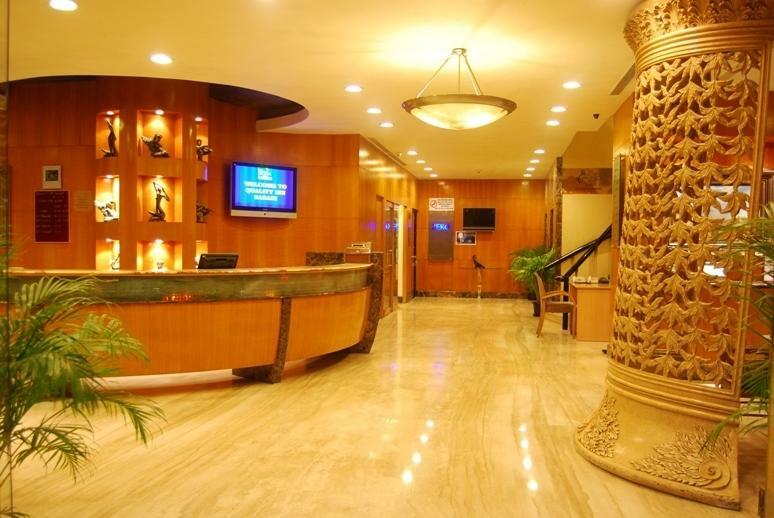 The room amenities on offer consist of satellite TV, safe deposit vault, data ports and room service round the clock. A pure gourmet restaurant, Cascade is a fine dining restaurant of the hotel. 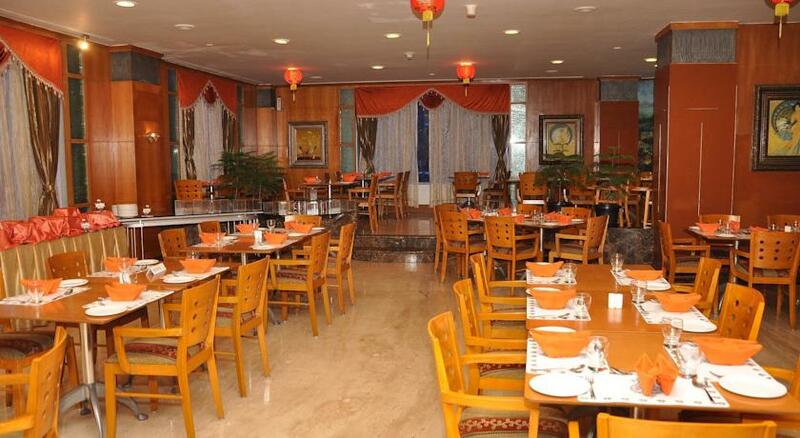 The restaurant offers delicious dishes from different cuisines in its exceptional menu list. 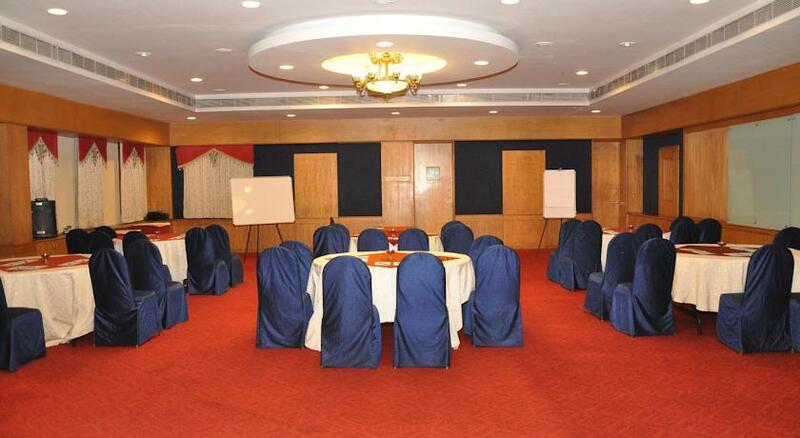 The ambience of the dining room is warm and sophisticated illuminating the senses with its glory. Each and every dish at the restaurant is prepared under the guidance of expert chefs. 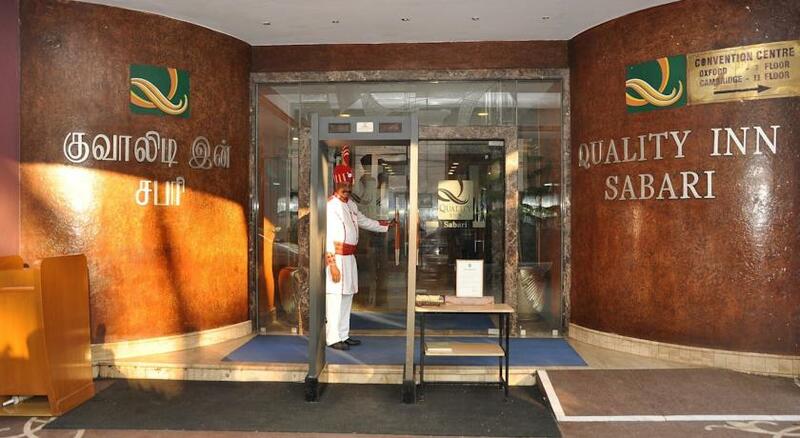 Rendezvous is a classic fine all-day dining restaurant offering delectable dishes from different cuisines. The restaurant serves an array of gastronomic delights having an elaborate menu and generous buffet spread for breakfast, lunch and dinner. Make your evening all the more special in the charming atmosphere of the restaurant with your family, friends and loved ones. 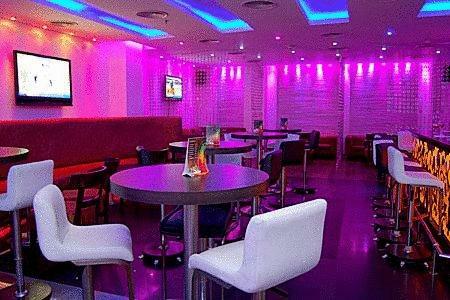 An extremely stylish and chic restro-bar, Zero bar is the ideal place to have a memorable evening, along with the loved ones. 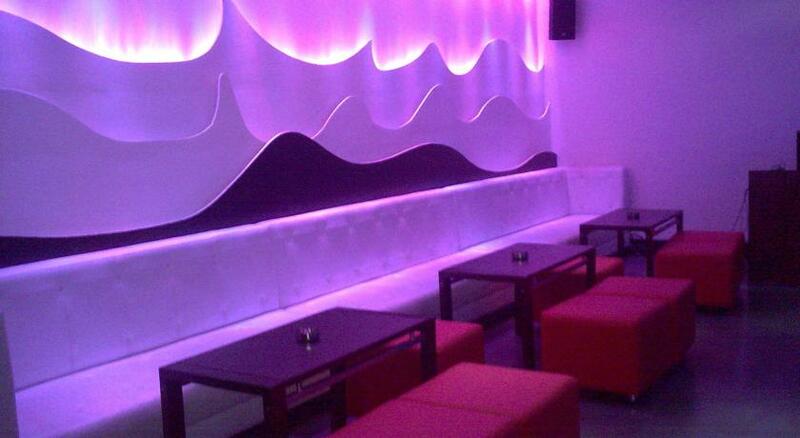 The decor is simply amazing. 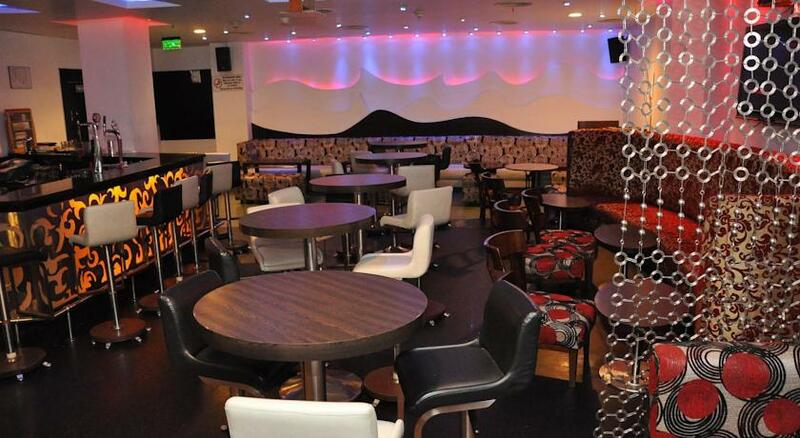 Enjoy your drinks and food while the in-house DJ is playing some great music in the background. 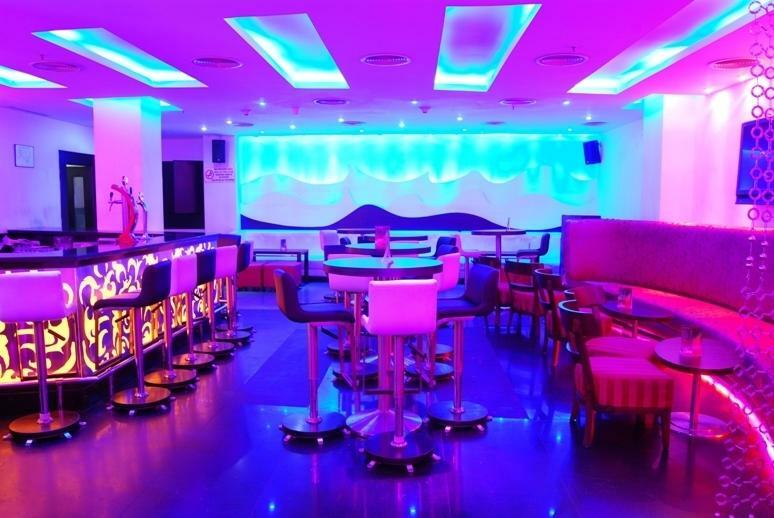 The menu comprises a wide range of snacks along with a vast variety of spirits, wines, champagnes, liqueurs, cognacs, wines, cocktails and more. 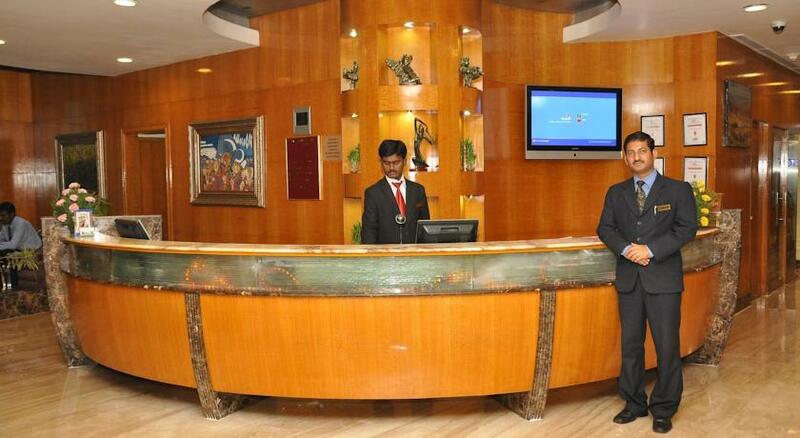 Enjoy the impeccable services of the hotel staff.